Venture east of the river and discover this vibrant neighborhood's history and natural landmarks. 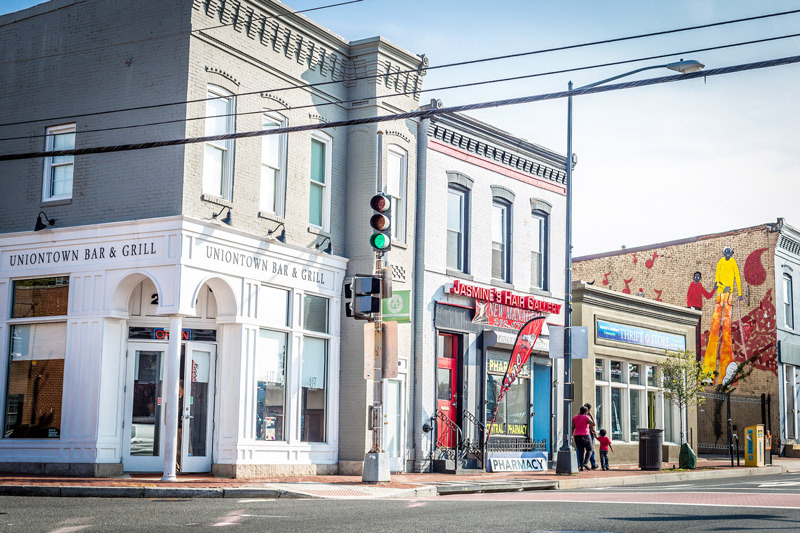 The historic riverside neighborhood of Anacostia is truly a gem. 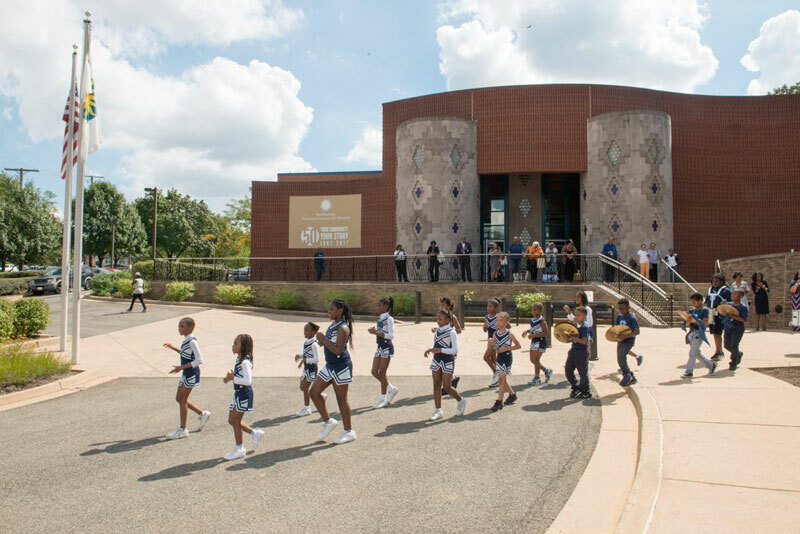 Some people think all Smithsonian Institution museums live on the National Mall, but Anacostia has its own completely dedicated to the concept of community. Perhaps the most famous member of the Anacostia community, Frederick Douglass is immortalized here, where his home at Cedar Hill has been named a registered national historic site. The neighborhood also has boundless natural beauty along its waterfront, featuring wildlife, lotuses, water lilies and walking trails. Local artists and thought leaders tell the story of the neighborhood at this museum. Don't be surprised if you happen to meet one of the curators on any given day. Smithsonian’s Anacostia Community Museum regularly hosts films, festivals and events, too. Take Metro’s Green Line to Anacostia and ride the W2 and W3 Metrobus to the building. In summertime, ride the free weekend shuttle there from the National Mall (it also stops at Frederick Douglass National Historic Site and the Anacostia Art Center). Anacostia is a historically black community with ties to one of the most prominent African Americans in history. Born into slavery and eventually freed, statesman Frederick Douglass traveled the nation to speak out against slavery. 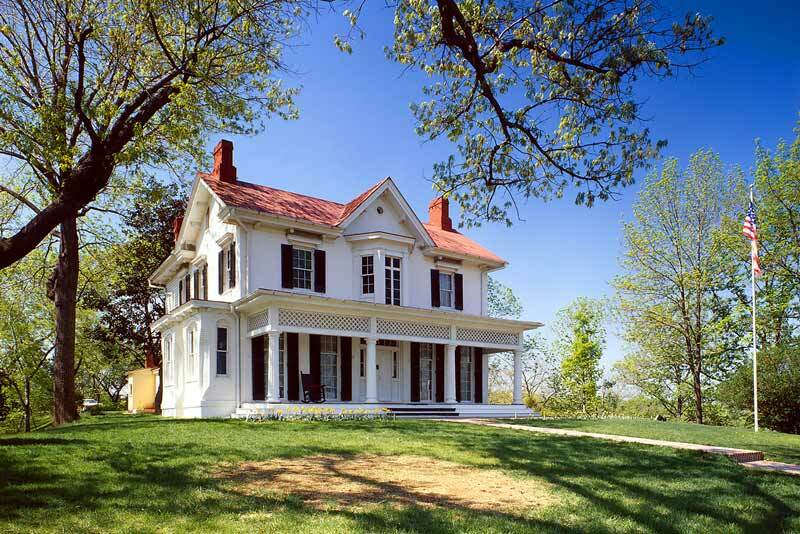 When he wasn't traveling he was residing atop Cedar Hill at his home, which you can tour throughout the day. Plan your visit with the tour schedule or order tickets in advance for a small fee. If you don’t get in for a tour, you can always marvel at the panoramic views of the city from Douglass' home. 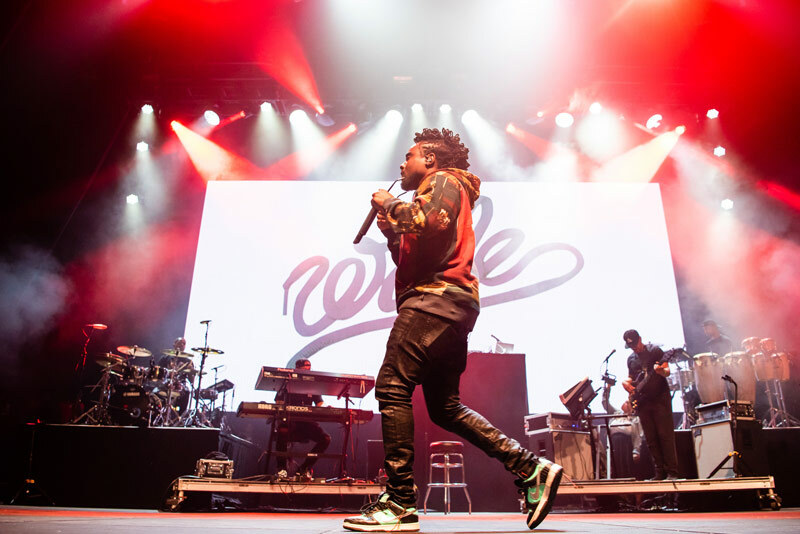 The newest, most lavish addition to Anacostia is the Entertainment and Sports Arena, which will serve as the home venue for the Washington Mystics and the Capital City Go-Go, as well as the practice facility for the Washington Wizards. In addition, the state-of-the-art arena will host concerts. Check their events calendar to see what else is in store. This community space opened in 2013 and features Black Box Theater, Vivid Solutions Gallery and other boutique and pop-up spaces. Experience an edgy art exhibit, peruse the racks of a vintage shop or see what healthful eats you can munch on from The Art-drenaline Café. 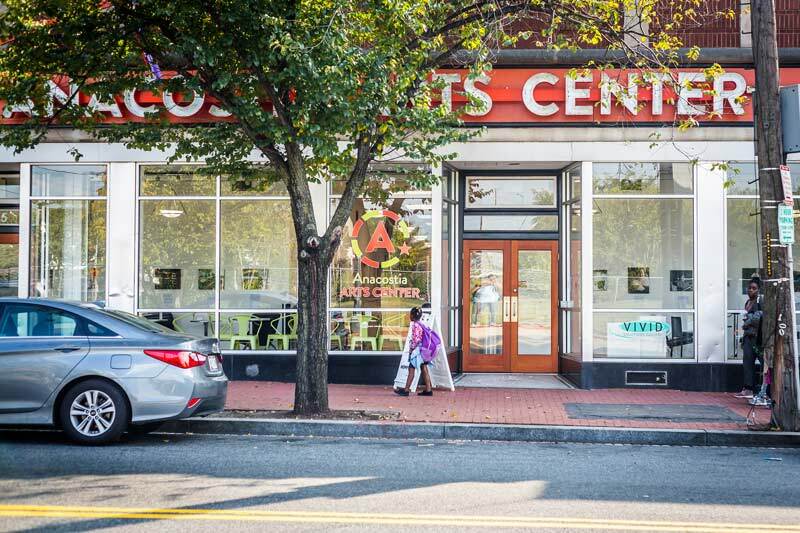 Note that the Anacostia Arts Center is closed on Mondays. Before it was called Anacostia, this District subdivision was known as Uniontown. The name lives on at the Uniontown Bar & Grill, where the Southeast set goes for fried catfish sandwiches, chicken and waffles and the robust house Angus burger. 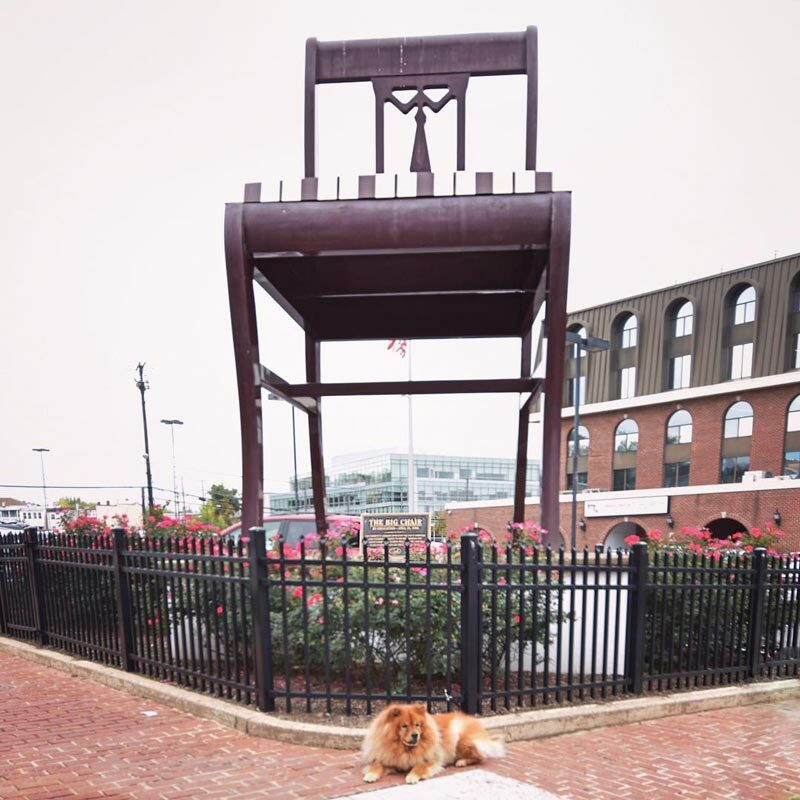 Built in 1959 as a sitting billboard to the long-closed Curtis Brothers Furniture store stands all 19 feet of the Big Chair. It has since been refurbished and is arguably one of the most iconic sights in the neighborhood. You can find it in all its glory standing on the corner of Martin Luther King Jr. Avenue and V Street SE. 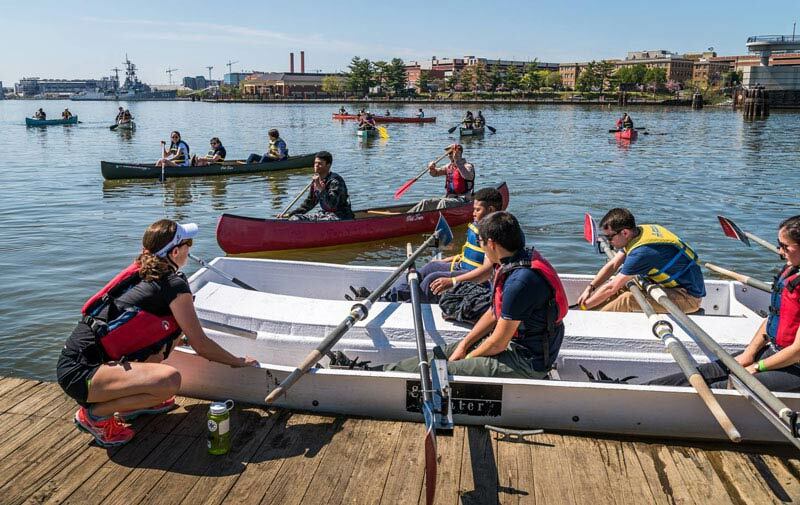 If you’re visiting around April, you won’t want to miss the Anacostia River Festival, which caps off the three-week-long National Cherry Blossom Festival. Be there and enjoy tours through the neighborhood, art projects, live music, fishing workshops and other events celebrating the environment and area. Anacostia is especially bike-friendly. Rent a bike from Bike and Roll or Capital Bikeshare, and take either the Frederick Douglass Memorial or 11th Street bridges to the east side of the river (anywhere on this Google Bike Map). Wind through curves surrounded by verdant foliage, and you’ll feel like you have your very own nature preserve to yourself. The bike trail runs all the way to Kenilworth Park & Aquatic Gardens. About five miles northeast of Anacostia, you’ll find this natural wonder. Come for a visit, and you’ll likely share the park with photographers, birders and even dog-walkers. Enjoy summer flowers, which bloom between late May through September. 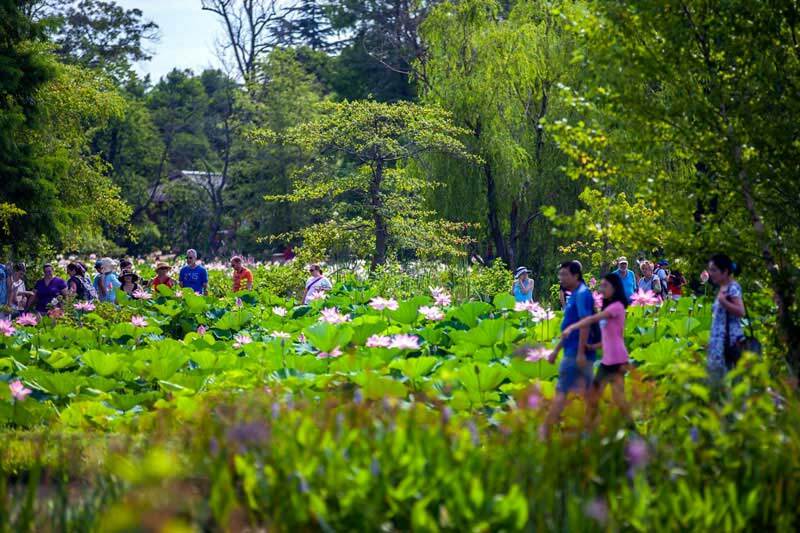 Mornings are the best times to see the famed water lilies and lotuses. For wildlife, be on the lookout from October through March, when lack of foliage makes birding for bald eagles easier. From Anacostia, the best way to get there is via a rideshare app like Uber, on bike or on the V2 Metrobus. Otherwise, take the Orange Line to the nearby Deanwood Metro station. 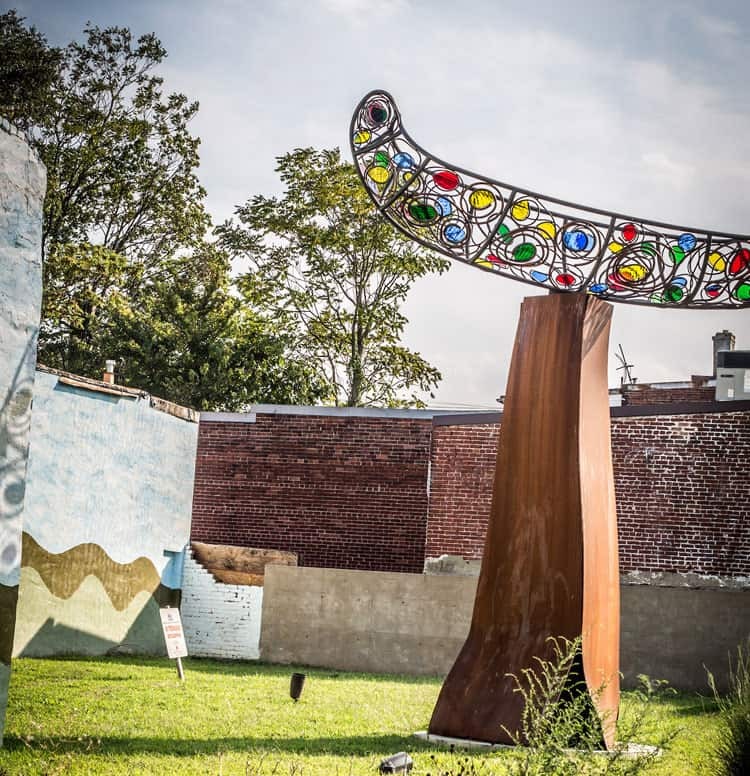 10 Imitate art by visiting the sculpture "Journey Anacostia"
Located at 1201 Good Hope Road and Martin Luther King Jr. Avenue SE, this art installation echoes Anacostia's diverse history and heritage. The work was created to “establish a dialogue on the interconnection of the past, present and future of Anacostia.” Wilfredo Valladares created the work of art, which was unveiled in the summer of 2013. Imitate art by visiting the sculpture "Journey Anacostia." Want to keep your visit to Anacostia strictly nautical? Head to the Ballpark Boathouse in Yards Park, and rent a kayak. You can cruise along the shoreline of the Anacostia River at your own pace and enjoy plenty of wildlife and nature. If you have your own canoe, kayak or boat, you can embark on the Anacostia from the boat ramp at the north end of Anacostia Drive SE. Productions on the main stage at the Anacostia Playhouse often feature the work of local playwrights and small theater companies. Set in a warehouse that can accommodate as many as 120 guests, the space also hosts concerts and spoken word, among other performances. The playhouse is only five blocks from the Anacostia Metro stop. 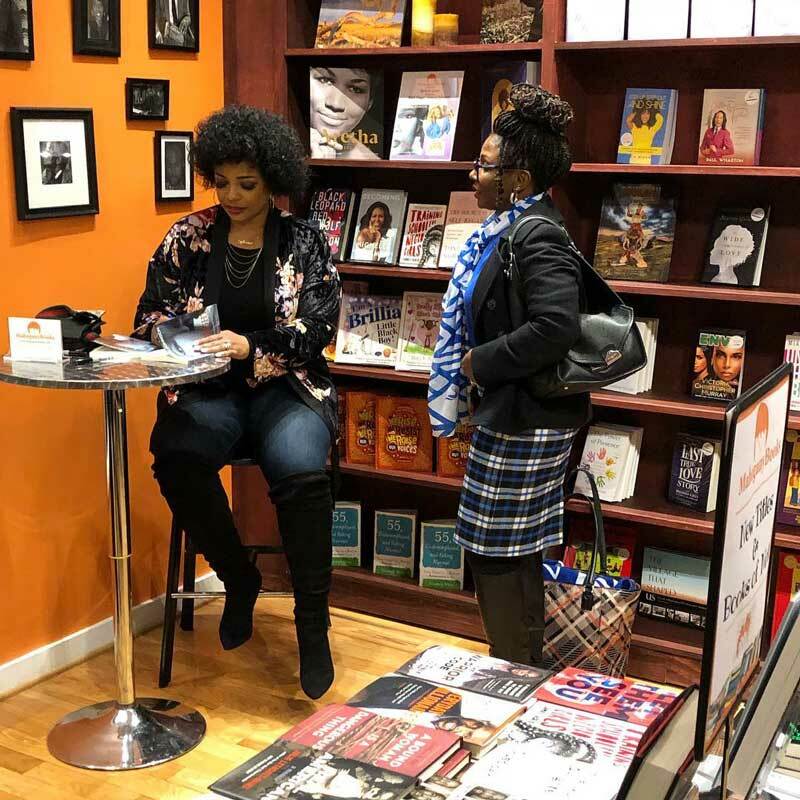 MahoganyBooks is an independent bookstore dedicated to sharing literature “written for, by, or about people of the African Diaspora.” What began as an online-only store more than a decade ago has blossomed into a nationally renowned brick-and-mortar shop inside the Anacostia Arts Center that plays host to community book events featuring African American authors. Make sure to check their blog for the latest updates and bestsellers. Anacostia Park has something that all of its fellow National Parks don't: a roller skating pavilion. Experience life on four wheels per foot, when visiting the park in summer. The best part about this old pastime is that skate rentals are free! Check to see skate times and consider visiting at dusk on the weekends for a dance party-like atmosphere complete with funk and hip-hop tunes. Once you're done exploring Anacostia, hop across the river and discover all that's happening in the lively Capitol Riverfront neighborhood.